Can Inhalants Abuse and Addiction be Treated? Inhalants are widely abused and can be addictive with repeated use. Knowing when to seek treatment and how to find the best treatment center is the first step to getting help. Correction fluids and glue etc. The effects of different solvents differ from one another, and they affect the body in different ways. It is difficult to isolate the type of solvent and test it for a particular treatment. Heterogeneity also makes it is difficult to assess the site of action of solvents, i.e., which area of the brain and body they're affecting. For example, people who primarily sniff glue report excitatory effects like euphoria, whereas paint thinner seems to have a sedating effect. This is very common in inhalant users, making it even more difficult to isolate the successful components of treatment. According to the National Institute on Drug Abuse, addiction to inhalants is uncommon -- however, it does happen. Fortunately, inhalant addictions can be treated with the steps below. As with most drug addiction treatments, a detoxification process is usually the first step toward getting clean. This process may be accompanied by withdrawal symptoms, which will depend on what kind of inhalant the patient has been using. Withdrawal symptoms may not always be present in inhalant users. But in case they do, certain medications may help alleviate some symptoms, such as beta-blockers to help control a rapid heartbeat. Cognitive behavioral therapy. This is frequently used in drug treatment centers to help patients cope with their cravings. Contingency management. This method rewards positive behavior in patients, thereby incentivising positive treatment outcomes like abstinence or medication compliance. Some treatment centers even offer family therapy, in which patients' families are permitted to come to the facility and engage in group therapy sessions, which help foster better communication and support among family members and help families develop positive ways to cope with their loved one's addiction. Inhalant abuse is especially common among adolescents, and it's thought that peer pressure is a significant factor for children and teens who use them. When treating adolescents, particular attention may be placed on understanding the social factors that might cause a person to abuse inhalants and developing the skills necessary to combat peer pressure. Find Treatment Now Inhalant use can cause a host of dangerous effects. Don't risk your health another day. Find a treatment center. Recognizing that you have an addiction is the first step toward getting treatment. Addiction is marked by a compulsive need to keep using a drug, even if it's causing negative effects in the user's life. If you find yourself experiencing frequent strong cravings for inhalants and can't seem to bring yourself to stop using them, even if you want to, you may have an addiction. Getting clean and learning to manage one's inhalant addiction is important, as using inhalants can be very dangerous. In particular, inhalants have been known to cause a rapid or irregular heartbeat and can even lead to heart failure. Inhalants can also be responsible for sudden death, caused by suffocation or asphyxiation, and they've also been known to cause seizures or coma. When deciding whether a drug treatment program is the best way to deal with your addiction, you may consider a variety of factors. If inhalants are starting to get in the way of your personal life, interfering with your job or family, then it may be time to seek a treatment program. If you have limited access to family, friends, or other social support networks that might help you through your recovery, a medically supervised program may be a good option for you. Residential treatment is a type of inpatient program in which patients live together in a facility while receiving treatment for their addiction. While some of these programs specialize in treating certain types of substance addictions, they often treat many types of addictions in one facility. The community atmosphere of residential treatment programs is generally designed to foster a sense of support and togetherness for patients. A treatment center with private rooms. A facility that caters specifically to business executives. Most treatment programs offer either inpatient or outpatient care. 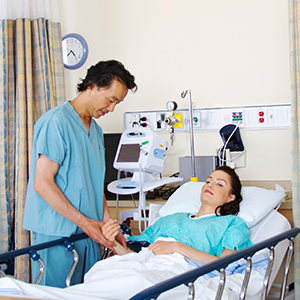 Inpatient programs admit patients and expect them to stay at the facility throughout the duration of their treatment. Patients enrolled in outpatient programs come and go from the facility only to receive medication, therapy, or other forms of treatment. There are pros and cons to both programs. Outpatient care is much less disruptive to the patient's everyday life and may be more suitable with people who have heavy work or family responsibilities that they can't leave for an inpatient program. However, some studies have suggested that inpatient programs are more effective than outpatient programs and have lower rates of relapse. In general, outpatient programs are more advisable for people with milder addictions and fewer risk factors, such as concurrent mental health disorders or low access to social support. Because inhalants include such a broad spectrum of chemicals--toluene, amyl nitrate (poppers), nitrous oxide (laughing gas), canned air, spray paint, etc.--there's no catch-all treatment, particularly when it comes to medication. There's also a lack of research into pharmacologic interventions for inhalant abuse compared to other drugs. However, there are some intoxication and withdrawal symptoms that are common among many different types of inhalants and can be managed with drugs. Rapid or irregular heartbeat is one symptom that can be managed with beta-blockers. Benzodiazepines, barbiturates or propofol may be used in the case of seizures due to toxicity. N-acetylcysteine has been evaluated for preventing the advance of hepatitis, or liver inflammation associated with inhalant use. Other research initiatives have also acknowledged that inhalants are known to cause long-term cognitive and neurological damage and there's been some limited research into pharmacological approaches for treating these issues. There's some very limited evidence to suggest that carbamazepine and haloperidol can reduce symptoms in inhalant users who also present with symptoms of psychosis, but additional research is needed to confirm their effectiveness. There's also some preliminary evidence that an anti-epileptic drug called vigabatrin could help treat some forms of inhalant dependence, but additional research is needed on this front as well. Treatment may be right for you if you find yourself compulsively using inhalants and feel unable to stop. People with concurrent addictions to other substances or other mental health disorders may be especially vulnerable to relapse, as well as people with low social support systems. In these cases, a medically supervised treatment program may be a good option. 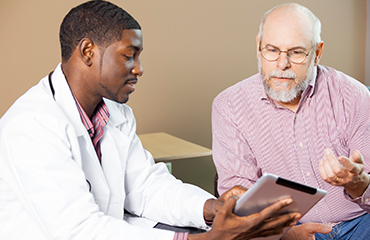 Access to adjunct therapy is common in drug treatment programs. Cognitive behavioral therapy is among the most commonly offered forms of therapy. It seeks to understand a person's motives and helps in changing their behavioral patterns in positive ways. Cognitive behavioral therapy can be a good tool in helping people control their cravings and stay clean. Family therapy is also common in drug treatment programs. During these sessions, patients' families are permitted to be present. Therapy focuses on building stronger relationships among family members, helping them cope with their loved one's addiction, and developing ways to support their loved one in his or her recovery. One study showed almost an 80% abstinence rate from inhalants after family therapy over a period of 6 months. Psychiatric services are also a very important part of many treatment programs. Inhalant use is particularly known for causing cognitive impairment and other psychiatric problems over time, which may need to be addressed during treatment for addiction. Psychiatric disorders and mental illnesses can make recovery more difficult and relapse more likely, so offering therapy for these issues is key for a successful treatment program. Partial hospitalization and intensive outpatient programs attempt to combine the best aspects of inpatient and outpatient care. These programs do not require patients to sleep at the treatment facility, but they do require frequent visits (even up to 7 days a week) which may last for hours throughout the day. These programs offer closer medical supervision than regular outpatient programs. However, they are still less intensive than inpatient programs and may not be ideal for people with severe addictions or complicating circumstances, such as multiple addictions or co-occurring mental illness. Dual diagnosis treatment is one way of addressing these issues. In order to receive a dual diagnosis, a medical professional must first evaluate you. If you receive the diagnosis, dual diagnosis treatment will offer you psychiatric counseling at your treatment facility in an attempt to address both your mental illness and your addiction at the same time. The goal of dual diagnosis treatment is not to draw lines between mental health disorders and addiction, but rather to address their symptomatic fluidly. Treatment will depend on your addiction and your mental illness, but may include counseling and therapy as well as the possibility of medication to help control symptoms. Limited research on inhalant abuse makes it unclear whether preexisting mental illnesses makes people more susceptible to developing an inhalant addiction, although this is often true for other drugs, such as narcotics. However, abusing inhalants is known to cause psychiatric complications, which may require treatment alongside the addiction. The most important aspect of a treatment program is whether it leaves you with the skills you need to avoid relapse. There are many factors to consider before choosing a treatment program. You might start by first consulting with an addiction specialist, who can give you a private evaluation and help you decide what kinds of resources should be a priority for you when checking out different facilities. One factor that may be important to you is the type of addiction philosophy your treatment center teaches. Many programs teach the 12-step philosophy, which is the same program used by Alcoholics Anonymous. However, there are other options. Holistic treatment, for instance, stresses a focus on the mind, body, and spiritual wellness. You should also look into the types of therapies offered by your treatment program. If you suffer from a concurrent mental health disorder, for example, it will be important for you to consider the types of psychiatric services your program offers. If your family is your strongest support system, you might prefer a program that offers family therapy. Cost may be a deciding factor for many people. Consult with your health insurance company to determine what kinds of treatment is covered for you. Specialty programs, such as luxury facilities, can be tempting, but you can receive the same level of care at a lower price if you're willing to accept a program with fewer amenities. Finally, you may consider the length of different programs and investigate their success rates. The most important aspect of a treatment program is whether it leaves you with the skills you need to avoid relapse. If you have additional questions about choosing the best rehab program, call 1-888-993-3112Who Answers? to speak with a caring treatment support team member. Inhalant Abuse. Pediatric Child Health. Inhalant Abuse. Journal of Emergency Nursing. Inhalant Use and Inhalant Use Disorders in the United States. Addiction Science Clinical Practice.